I only recently received these stamps and have been dying to use them…the idea was to have a dramatic, fiery background in a cave setting. I guess like lava. And then to keep the femininity through all that drama. I tried to show the strength of a woman. I think the rose and the dancers help with this. The stamps were masked and stamped in tuxedo black ink. The background is wild honey stains, and fire brick red and spiced marmalade distress inks. The cave is torn black cardstock and the rose and tags and bits of ribbon are from my stash…the words are stamped in fired brick DI and are from the dancers set. The flower behind the rose is highlighted with stickles. Enjoy! Wow! This is fabulous! 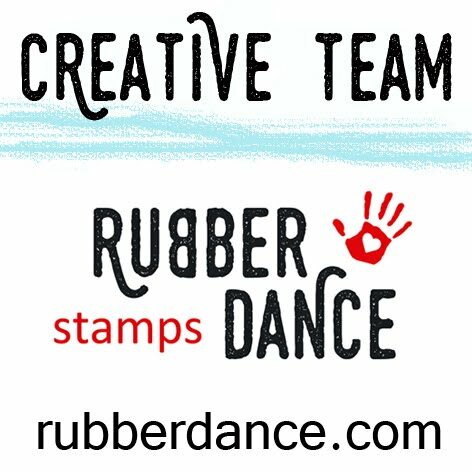 Thanks for joining The Artistic Stamper challenge Dot! Wow, wonderful card, great firey colours and wonderful image. Thanks for joining us at Jac-inks. Well, I say this card is HOT HOT HOT! Stunning! Wow very cool card! Thanks for joining us at Stamp Something this week! This is a very dramatic card. 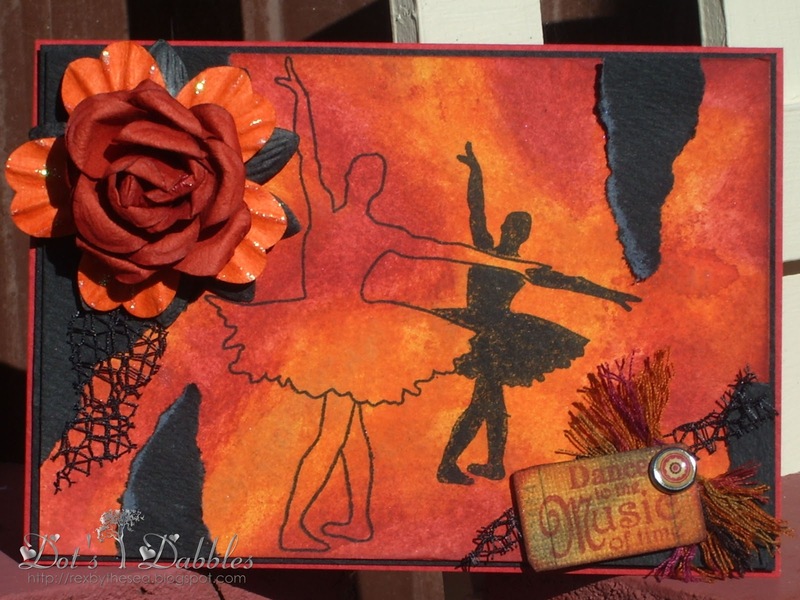 Love the fiery background you created and those stamps are wonderful with it. Thanks for joining us at Dream Valley Challenges. Fantastic! Love the colours the stamps and what you've done with them. Thanks for joining us at jac-inks Challenges this week.